Modern Agency SAS ( Lefty, "we," "us," "our"), a simplified joint stock company incorporated under the laws of France (societe par actions simplifiee) registered at the Trade and Companies registry of Paris under the number 810 844 399 is the owner of the https://lefty.io, https://dashboard.lefty.io and https://creators.lefty.io websites (collectively, the Platform or the Service). Lefty is a platform that connects brands to social media content creators. 1.1 The Service provides clients with a platform that facilitates creative projects between brands and content creators on Instagram. 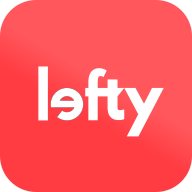 Lefty enables brands to find, manage and pay content creators. Lefty allows creators to collaborate with brands on creative projects of their choice. 2.1 You may access and use the Service only for lawful purposes. All rights, title and interest in and to the Service and its components will remain with and belong exclusively to Lefty. Store on any network, hard drive, computer or cloud-storage any data or information obtained from the Services or the Site for any period of more than 14 days. 2.3 You are solely responsible for all data, information, feedback, suggestions, text, content and other materials that you deliver, provide or otherwise transmit or store (hereafter “post(ing)”) in connection with or relating to the Service. 2.4 Lefty reserves the right to use your name and/or your business name as a reference for marketing or promotional purposes on Lefty website and in other communication with existing or potential customers. To decline Lefty this right, you must email contact@lefty.io stating that you do not wish to be used as a reference. 3.1 Lefty reserves the right, at any time, to modify the Platform or this Agreement, by making those modification available on the Platform or by providing notice to You as specified in this Agreement. Modifications will be effective immediately upon posting on the Platform or such other notice. You may cease using the Platform at any time if you do not agree to any modification. However, You will be deemed to have agreed to such modification through Your continued use of the Platform following such notice. 4. 1. You may be required to establish an account on the Platform (an “Account”) to access the Application and certain portions of the Platform. 4. 2 Each Account and the user identification and password for each Account (the “Account ID”) is personal in nature. Each Account is for Your personal use and each Account ID may be used only by You alone. You may not distribute or transfer Your Account or Account ID or provide a third party with the right to access your Account or Account ID. 4.3 You are responsible for maintaining the confidentiality of your login, password and account and for all activities that occur under your login or account. Lefty reserves the right to access your account in order to respond to your requests for technical support and to investigate suspicious activity. 5.1 You have the right to terminate your account at any time, within the term of your contract or subscription, by sending a cancellation request to contact@lefty.io. 5.2 Lefty reserves the right, in its sole discretion, to early terminate your account if you breach any of the terms or conditions of this Agreement. All rights and subscriptions granted to You under this Agreement will terminate. You will immediately cease all use of and access to the Platform. 7.1 The Services may be temporarily unavailable for scheduled maintenance or for unscheduled emergency maintenance. HOWEVER, THE SERVICE IS PROVIDED ON AN “AS IS” AND “AS AVAILABLE” BASIS WITHOUT ANY WARRANTIES OF ANY KIND, AND LEFTY EXPRESSLY DISCLAIMS ANY AND ALL WARRANTIES, WHETHER EXPRESS OR IMPLIED, INCLUDING, BUT NOT LIMITED TO, THE IMPLIED WARRANTIES OF MERCHANTABILITY, TITLE, FITNESS FOR A PARTICULAR PURPOSE, AND NON-INFRINGEMENT. YOU ACKNOWLEDGE THAT LEFTY DOES NOT WARRANT THAT THE SERVICE WILL BE UNINTERRUPTED, TIMELY, SECURE, ERROR-FREE OR VIRUS-FREE, NOR DOES IT MAKE ANY WARRANTY AS TO THE RESULTS THAT MAY BE OBTAINED FROM USE OF THE SERVICES, AND NO INFORMATION, ADVICE OR SERVICES OBTAINED BY YOU FROM LEFTY OR THROUGH THE SERVICE SHALL CREATE ANY WARRANTY NOT EXPRESSLY STATED IN THIS TOS. 8.1 UNDER NO CIRCUMSTANCES AND UNDER NO LEGAL THEORY (WHETHER IN CONTRACT, TORT, OR OTHERWISE) SHALL LEFTY BE LIABLE TO YOU OR ANY THIRD PARTY FOR ANY DAMAGES, INCLUDING, WITHOUT LIMITATION, ANY LOSS OF SUBMISSIONS, OPPORTUNITY, REVENUES OR PROFITS, BUSINESS INTERRUPTION, OR PROCUREMENT OF SUBSTITUTE GOODS OR SERVICES. 8.2 IN JURISDICTIONS WHERE LIMITATION OF LIABILITY FOR CONSEQUENTIAL OR INCIDENTAL DAMAGES IS NOT PERMITTED, LEFTY LIABILITY IS LIMITED TO THE MAXIMUM EXTENT PERMITTED BY LAW. This document was last updated on June 29, 2018.